My two Whole30 goals were to stop snacking, especially on sweet things and get back into my weight window. I accomplished both of those in 25 days. If my goal was to make eating simply something you do to fuel your body I would have succeeded there too. The Whole30 really sucked the joy out of meals. For me food is a big part of holidays and special occasions. What I hadn’t realized was how important meals were to day to day family life. That doesn’t mean the meals need to be unhealthy but it does mean we all need to sit down to the same meal. I don’t know why this is and it doesn’t seem logical but it is the way I feel. I thought a lot about how to keep to my goals post Whole30 in regards to baked treats and candy. It is not enough to say I am going to eat less candy or have fewer desserts. I needed to be concrete with my limits or “Smart”. I don’t want junk food to be an all or nothing proposition. I don’t want to mindlessly inhale crap without even tasting it. I want cake and cookies to truly feel like a treat. I want to enjoy baked goods or candy like it is something special. Like when I was a kid. Growing up we only had cake at birthdays, pie on holidays and candy at Halloween and Christmas. The rest of the year we sometimes got homemade cookies and occasionally pudding or jello or ice cream. That was it. Oh, and when my Dad worked Saturday nights (he was a firefighter) sometimes he would bring doughnuts home on Sunday morning. That was always a big deal! A plan that I am not following at all. I am still not snacking and I am still eating way less sweets but I am not limiting myself to just one a week. Turns out it was not a realistic goal. But I didn’t throw in the towel completely. I am being very mindful about what I eat. Crazy hormones are still a problem but I try to remain cognizant of what is going on physically and emotionally at any given moment. A few times I have taken a nap instead of mindlessly shoving junk food in my face. I am doing quite well with only eating when I am hungry. 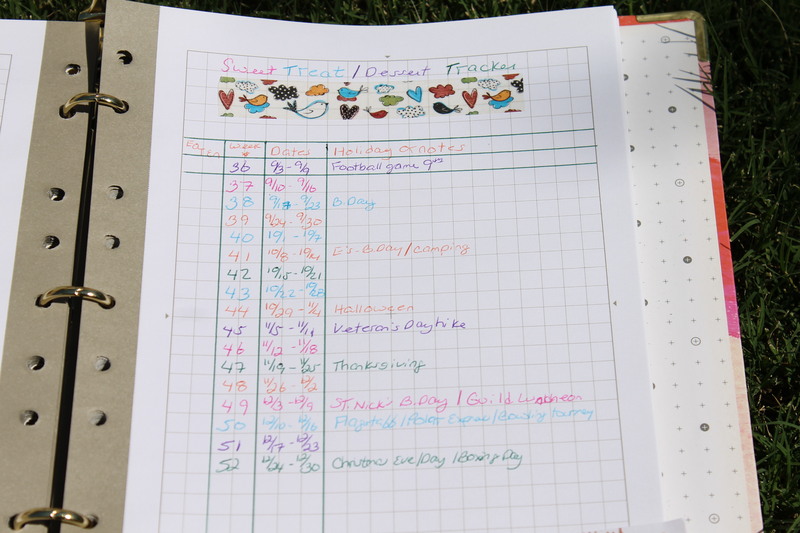 I started tracking desserts yesterday in order to maintain my mindfulness and to keep from returning to my old habits. I’ll make a little slash mark on my tracker for each sweet treat consumed and for now I am writing down each treat I eat. Still sticking with the must be homemade rule. My plan and intentions are a little different that what I had hoped for. But it is still a goal and one I will hopefully achieve without making myself miserable or gaining too much weight. Here goes nothing! 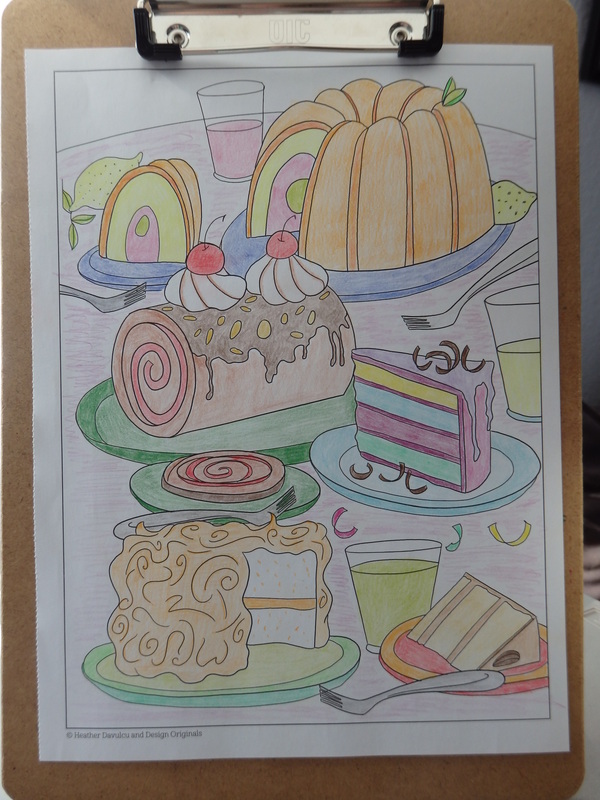 Coloring meditation, how to have my treats without the calories!